To reach root canals, a dentist creates an access opening in the tooth through which RCT will be done. This hole (access cavity) may weaken the tooth as in some cases the great amount of internal structure needs to be removed to access root canals. And sometimes the tooth may become vastly gouged out. Many teeth that require root canal have already undergone serious treatment such as large fillings or have been fractured and already weakened. The microbe-killing medicine and other chemical agents which are used during root canal therapy reduce the dentine(hard, calcified tissue beneath the enamel). After completing Root Canal Treatment a tooth can be at significant risk of fracture. 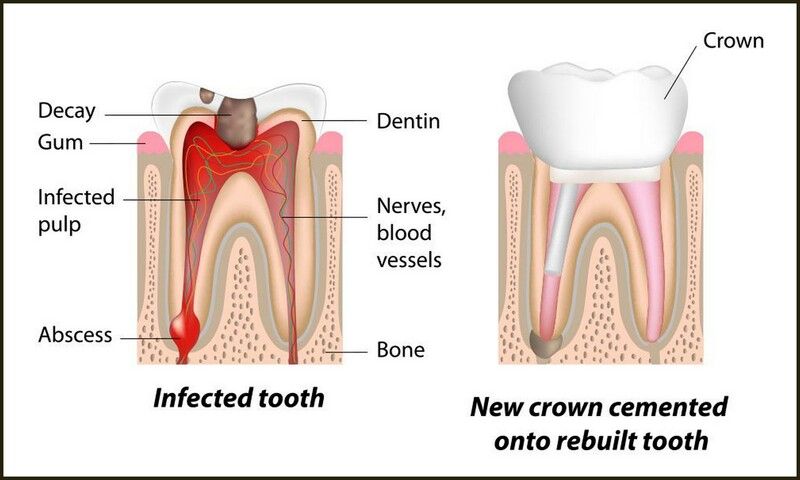 A dental crown will protect a tooth and will make it stronger. Another issue is an effect of “coronal leakage’’ when bacteria and contamination from the mouth find a way to seep past a tooth dental restoration (filling). It can lead to RCT failure and as result tooth loss. 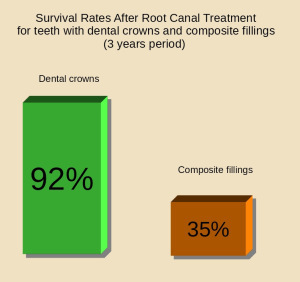 A Crown After Root Canal Treatment can prevent such dramatic effect. Studies show that risk of losing a tooth that had a dental crown after root canal is 6 times less than those that had a composite filling. Placement a crown after root canal for molars (back teeth) become a standard procedure in dentistry as these teeth must be able to cope with heavy chewing pressure (a dental post and core may be needed too). 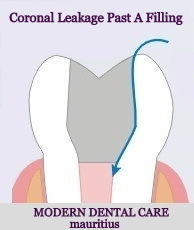 We advise placing a crown after root canal as soon as possible.